We, at Tranquility Bay Resort, are passionate about the environment, wildlife and sustainability. 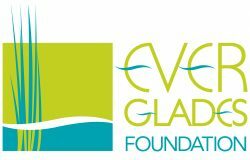 We have proudly partnered with The Everglades Foundation to help strengthen the voices for Everglades restoration. An Everglades with abundant freshwater for consumption, enjoyment, ecological health and economic growth for generations to come. The Everglades Foundation works to protect and restore America's Everglades through science, advocacy and education. Why are the Everglades so Important? Your contribution supports the science and restoration efforts needed to preserve and restore America's Everglades. Find out how you can support the Everglades Foundation.